Of course, water costs money. In areas serviced by municipal sewer systems, the bill for sewer services is usually based on the amount of water usage, so the customer essentially gets billed twice for the water they use. High water usage can be a sign of a leak, possibly under the crawlspace, behind walls, or underground where you wouldn’t see it. This can cause serious structural and indoor air quality issues. Green River can diagnose the causes of high water usage and recommend corrective actions. 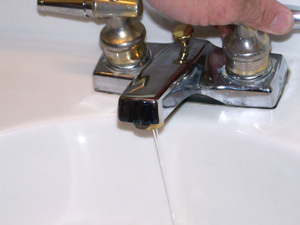 In some cases, when we find a leak, you may be able to get a credit from the utility company on your water bill- and better yet – homeowners insurance may even cover the cost of repairs.